An insightful analysis of the forces of deception rapidly reshaping America's morals, social policies, and culture, with a call to specific action, written by a thoughtful and courageous Christian social scientist on the front lines of today's issues. Cultural elites in the media, academia, and politics are daily deceiving millions of Americans into passively supporting policies that are detrimental to the nation and their own best interest. Although some Americans can see through the smokescreen, they feel powerless to redirect the forces inside and outside government that radically threaten cherished values and principles. 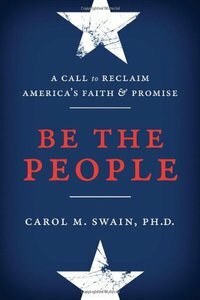 Drawing on her training in political science and law, Dr. Swain thoughtfully examines the religious significance of the founding of our nation and the deceptions that have infiltrated our daily lives and now threaten traditional families, unborn children, and members of various racial and ethnic groups?as well as national sovereignty itself--and provides action points for the people of this country to make the political system more responsive.